This is General Julian Byng. He looks every bit the general. Steely eyes, stern face, strong jaw. He looks like a real leader. 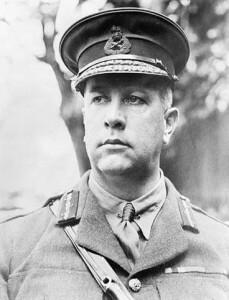 This is General Arthur Currie. He does not look like a general. He was a large, soft, pear-shaped man. By appearance, he would be passed over for a leadership role. As an aside, here’s me as General Currie. I know for sure that I don’t look like a general! I only pretend to be one for my Vimy Ridge performances. But I digress. Not only would Currie not be selected based on appearance, but he would likely also be passed over on the basis of his personality profile. It would show he was too trusting, too sensitive (so sensitive that he changed his surname because friends made fun of it), overly planful and too detail-oriented. Currie was not a visionary, had limited ability to inspire and was emotional and impetuous. Personality profiles would peg him perhaps as an administrator, but certainly not as a leader. The same might be said for General Byng as well. 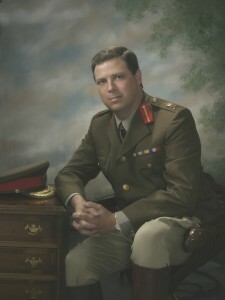 The fact is, Currie helped Byng lead Canada to its greatest military success at Vimy Ridge. 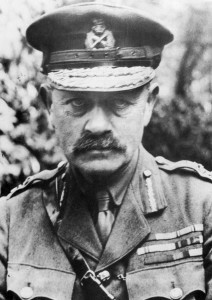 Both Byng and Currie were promoted after Vimy Ridge with Currie taking Byng’s job as commander of the Canadian Corps. He then led Canada’s 4 divisions in an unbroken string of successes, defeating 64 enemy divisions. Under Currie’s leadership, Canada never lost an inch of ground, never lost a single artillery piece and never failed in any assignment. It’s natural to try to predict who will be a great leader on the basis of something that is observable today. One method that has been widely used is the personality profile. It assumes there are some common personality traits related to leadership success. Personality profiles are powerful tools but must be used with discretion. In administering profiles over the years before I came to CCCC, I have noticed some leaders score very highly as “leaders,” yet perform very poorly. Others scored poorly as leaders, but performed very well. What is the explanation? It’s quite simple. Personality is not the key factor for successful leadership. There is no particular set of personality traits for leadership success. Some have charisma, some do not. Some are extroverts, some are not. And on it goes. Peter Drucker’s great insight is that performance, not personality, is the key to leadership. The best predictor of future success is a history of success. Decide what you need in a leader and then look for people with demonstrated success in those areas. To identify future leaders, give team-members a chance to demonstrate leadership abilities. Many leaders trace their career progression to an assignment or project early in their careers that involved leading a team. Even if the first assignment was a failure, it was a valuable training experience and subsequent assignments were successful. Let people take initiative and responsibility for results and see what they do. This is not to say that personality profiles have no place in selection, just that they must be very carefully used. They should be used at the end of the executive search process, not the beginning. Their purpose should be to ensure a selection is done with ‘eyes wide open.’ It will help the organization structure the person’s job, assemble an appropriate team around the person, determine training needs and match the person to a coach or mentor. They may help distinguish between two otherwise equally qualified candidates. But whatever the profile results, the candidate’s proven results should count far more towards the hiring decision than the profile. Leaders will find profiles useful for personal development. Knowing one’s personality traits helps a person avoid unnecessary difficulty through greater self-awareness. They might develop new skills. They might adjust how they work. They might assign some responsibilities to team members who are better-suited for them. The result is greater personal effectiveness. Currie led successfully in spite of his personality shortcomings because he was open to new ideas and valued the people who served under him. He built a solid team with high trust levels, trained them well, provided the tools they needed, gave them specific goals and delegated authority. Currie was a most unlikely hero. Neither he nor Byng fit the expected personality type of a general (autocratic, visionary etc. ), but they were both outstanding in their application of leadership practices. My advice? Hire and promote on the basis of performance, not personality and leave the profiles for coaching and personal development. Great insight! “Performance, not personality, is the key to leadership.” I like that.